Fundraiser by Richard Herring : Richard's When's International Men's Day AGAIN?! Telling people there is an International Men's Day for Refuge because they don't seem to know. On March 8th (International Women's Day) I search Twitter for people asking "When's International Men's Day" and tell them that it's November 19th. It's a Herculean task in the face of ignorance and the inability to google. Last year people donated £150,000 to Refuge in support of this ridiculous obsession. It'd be great if we could add another £50,000 or more to that total as it makes a huge difference to the brilliant work this charity does. One woman in four will experience domestic violence at some point in her lifetime and two women are killed each week in England and Wales by a current or former partner. 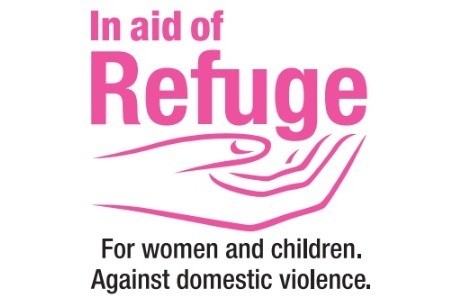 Refuge supports around 6,000 women & children on any given day, experiencing domestic and sexual violence, female genital mutilation, forced marriage, stalking, trafficking, prostitution & so-called ‘honour’ based violence. By kindly sponsoring me today you are helping to save and change the lives of thousands of women and children escaping domestic violence. Thank you. More information about Refuge: Refuge opened the first refuge in West London in 1971. Since then we have grown to support almost 5,000 women and children every day, experiencing domestic and sexual violence, female genital mutilation, forced marriage, stalking, trafficking, prostitution and so-called 'honour' based violence.